Gmail Sign Out is the process in which you make your things personal and not public. Its very important to always do Gmail Sign Out steps not only when you are using office computers at work or even your personal computer at home, never to forget sometimes even in your mobile devices. 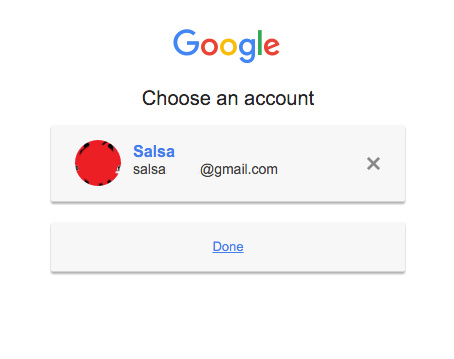 1) On the right top corner of your web browser in which you have opened your Gmail, you’ll see your Name, 9 small squares, Bell inside a white circle and your picture. 2) Now all you need to do is to click on your image on the top right corner. 4) Just click on that “Sign out” and you are done. Congratulation you have successfully Signed out from your Gmail. 5) When the page gets loaded after Gmail sign out, you’ll still see your image and your name with the email address below that. 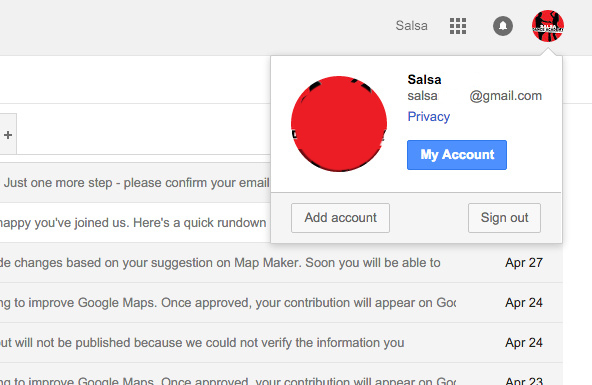 You might think that, you have still not signed out from your Gmail. Don’t Worry!! 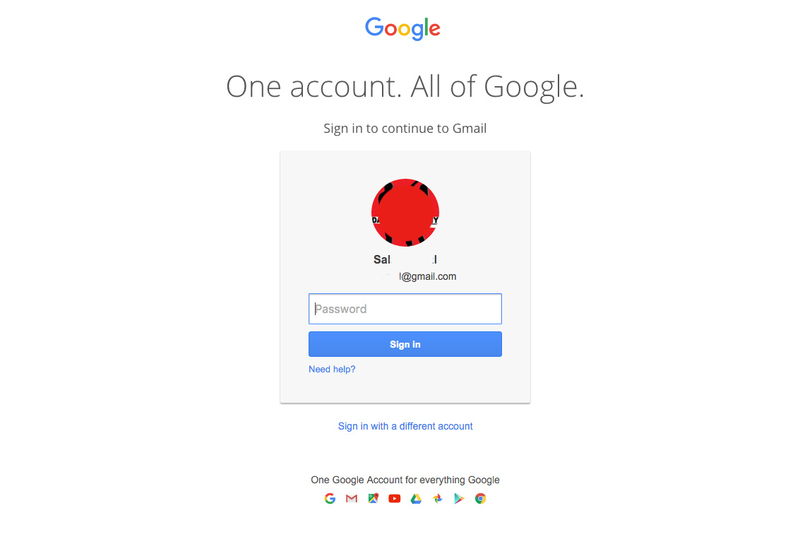 It shows you this just because if you want to sign in again. As you can see that the password box is empty. Which means that you’ll have to enter your password to sign in again. You are safe to walk out. 6) If you don’t want the page to keep your name and email address showing like that you can simply click on the link which says “Sign in with different account“. 8) After doing that, just on the right side of your image, name and Email address “X” sign appears. 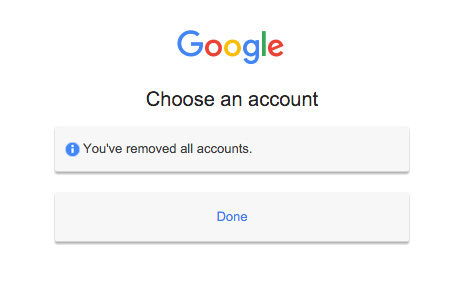 Now simply click on that and one message appears saying “You’ve removed all accounts”. Likewise, try Yahoo Mail Sign out?